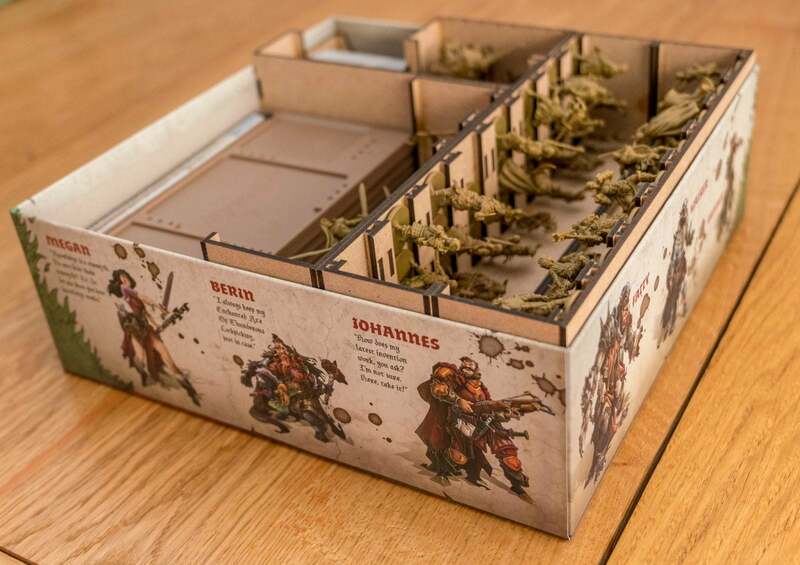 The Zombicide Green Horde Kickstarter box insert is perfect for storing and transporting your game, and makes gaming and tidying up a breeze. 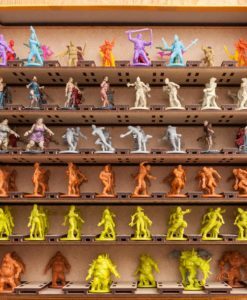 The Zombicide Green Horde Kickstarter contained an incredible amount of content, spread across thirteen boxes including expansions! 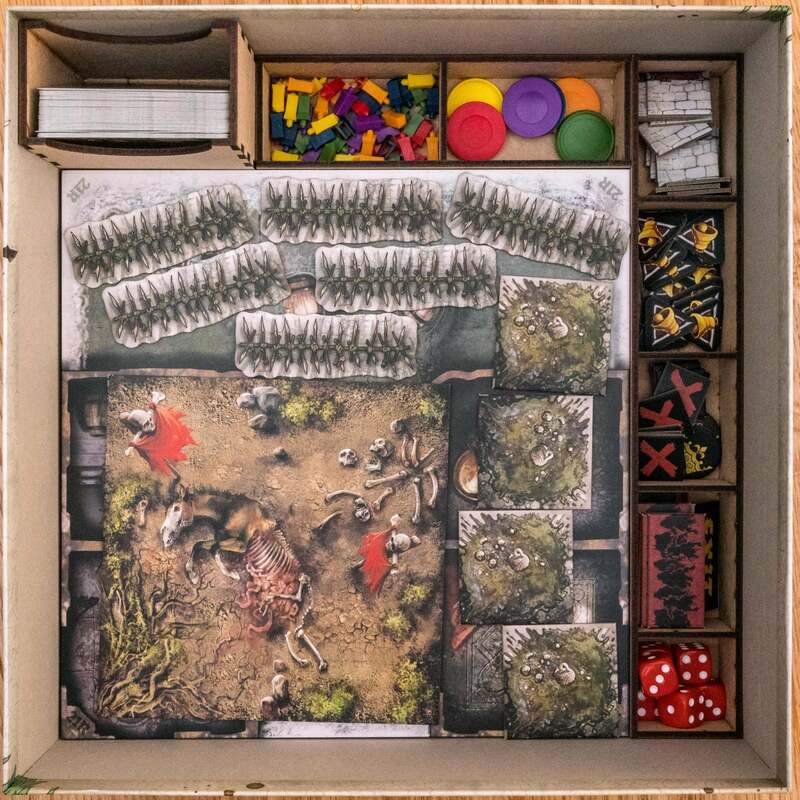 Trying to use all of this content in a game is a challenge, with boxes strewn everywhere, and your players desperately searching for their chosen survivor. 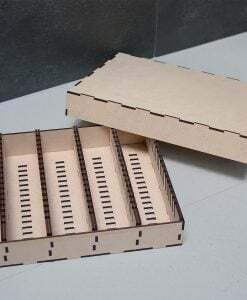 Our set of box inserts organise the entire game, excluding cards, down in to just five boxes. 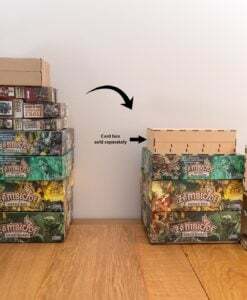 A complete storage solution to organise and store everything from the main Zombicide Green horde and expansion within three of the original game boxes (Green Horde, Horde Box and one of the expansion boxes). 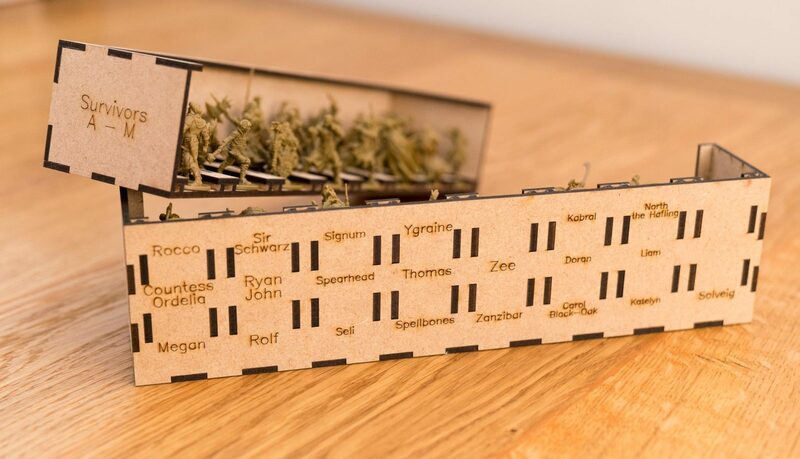 Multiple options are available depending on which products you added to your pledge. 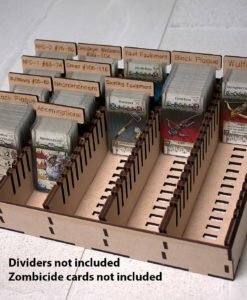 Green Horde and Horde Box Inserts. 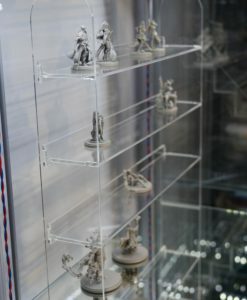 Store the contents of the base pledge, excluding cards and dragons. Expansion Box Insert (optional). 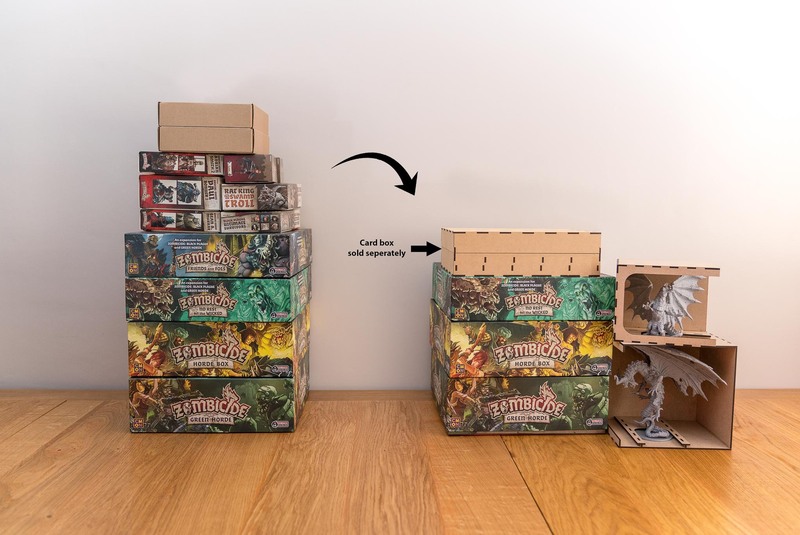 One expansion box holds all the content from both Friends and Foes and No Rest for the Wicked, excluding cards and dragons. 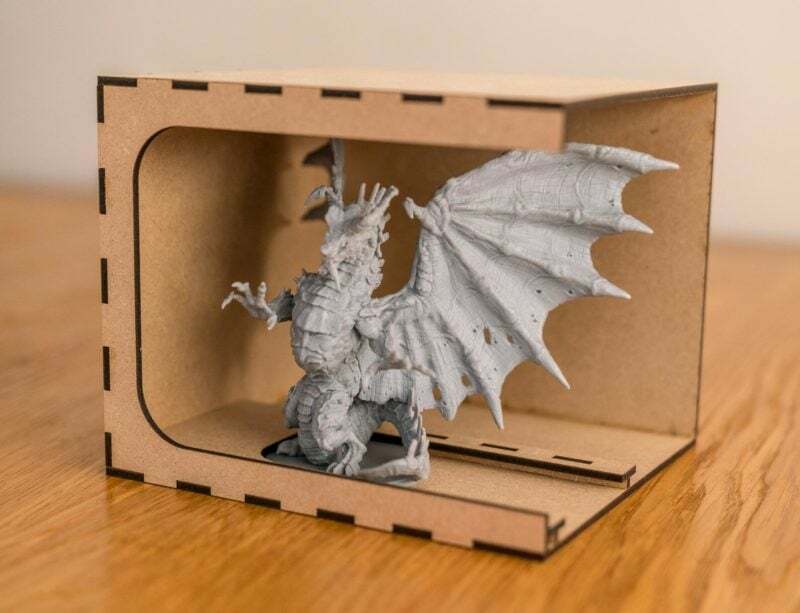 Dragon boxes (optional). 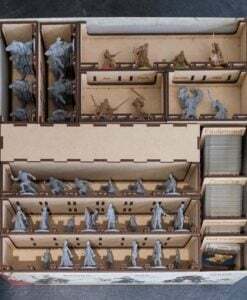 Separate boxes for storing the two dragons assembled. 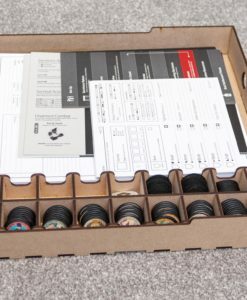 The contents of the main box insert are generally only required when setting up the game, as it contains the board, dashboards, survivors and tokens. 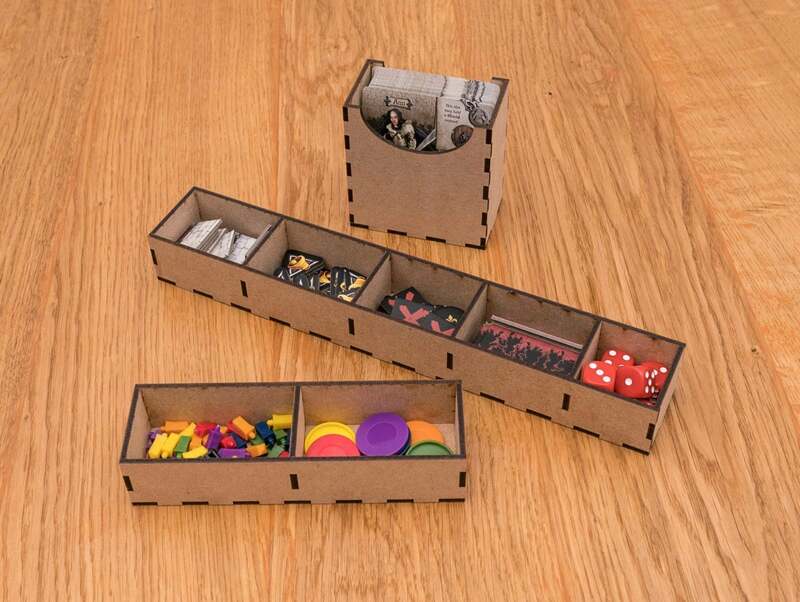 After setting up a game, the dice can be removed from the box, and the rest of the box stored away from the gaming table. 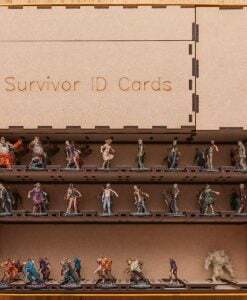 Survivor trays are labelled in almost alphabetical order ensuring your chosen survivor is easy to locate, whilst not colliding with the adjacent miniatures. 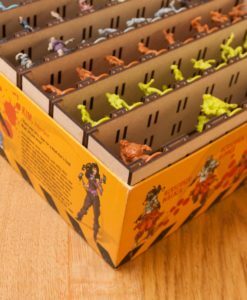 This box holds all of the survivors, including from expansions and the Black Plague Ultimate Survivors, along with the game tiles from Green Horde and the expansions. 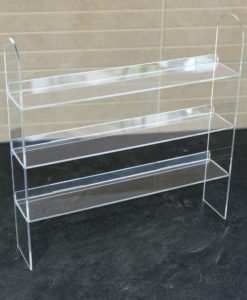 To accommodate this, the lid of the box is raised by approximately 2cm. 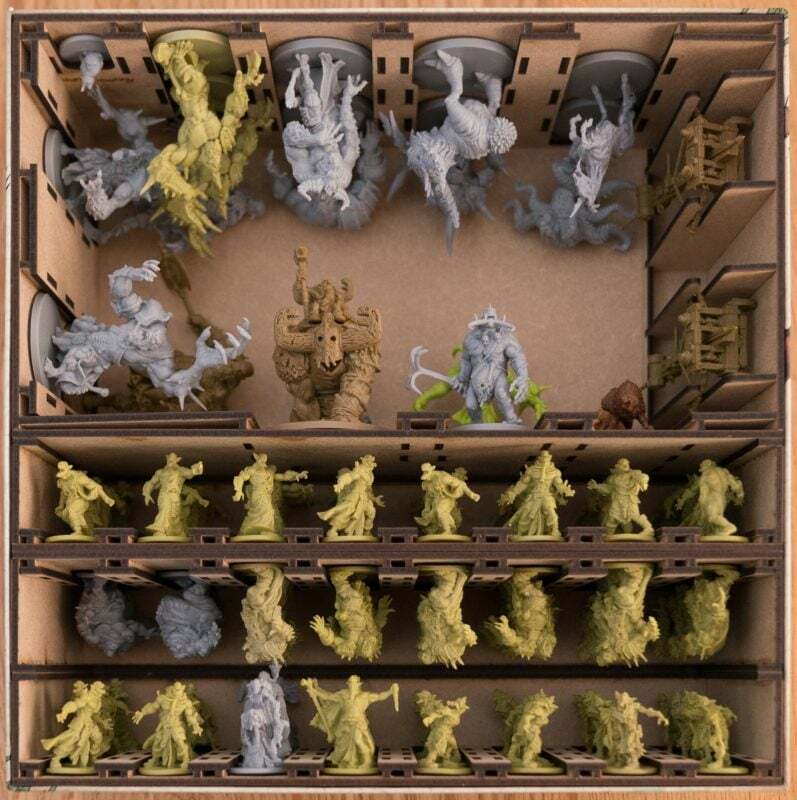 The Horde box stores all the zombie miniatures from the base pledge, along with all the abominations from all the Green Horde game content, and includes space for up to one additional set of fatty bursters. Note this insert does not include space for the Feral Dragon. 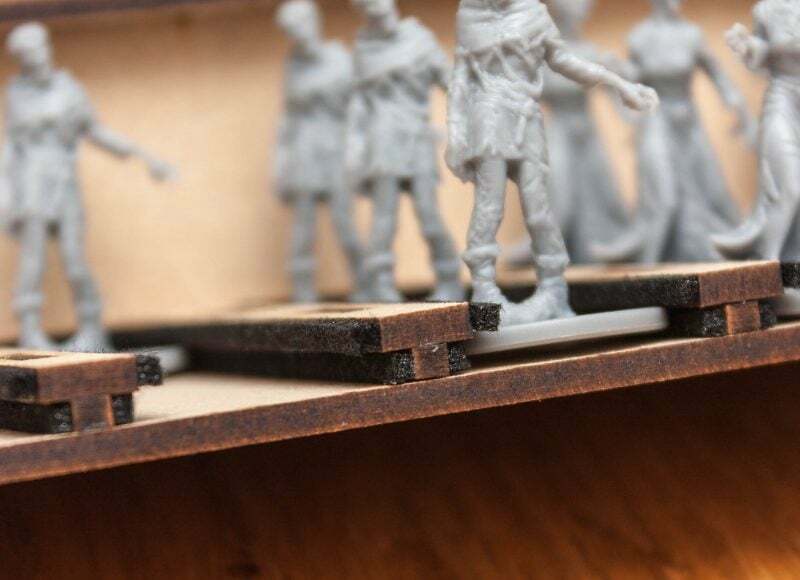 The Expansions box insert holds the zombies from both the Friends and Foes and No Rest for the Wicked expansions. 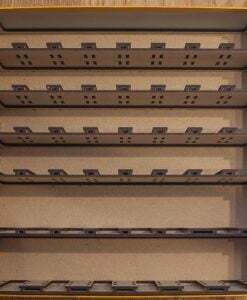 Two additional storage spaces are also included that can be used for 3D obstacles such as hedges, or doors. 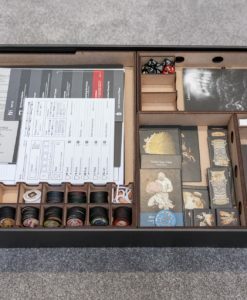 The insert only requires one of the expansion boxes to hold the content from both expansions.+ Note this insert does not include space for the Necromantic Dragon. 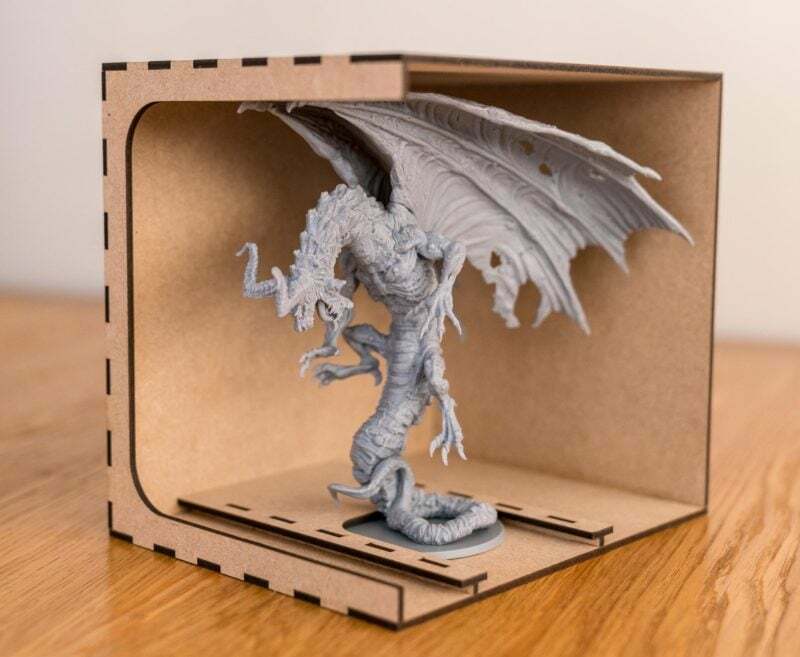 The two dragons available as part of Green Horde are extremely large once assembled, and are not able to fit within any of the game boxes. 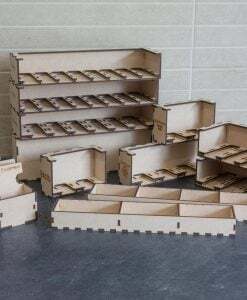 Optionally you can add a box for each of them to be stored separately. 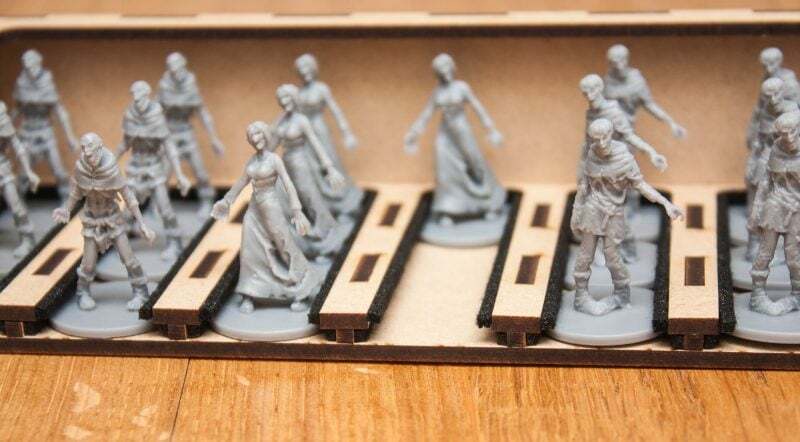 This is an unlicensed, third-party product compatible with Zombicide Green Horde. All copyrights and trademarks are property of their respective owners. Our card storage boxes are available separately as they hold more cards than just Green Horde, such as two or more seasons of Zombicide. 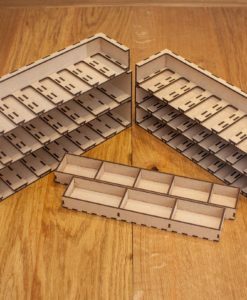 There are two discounted bundles available for gamers who may already have parts of our card storage solution. Discounts are applied automatically in the basket. 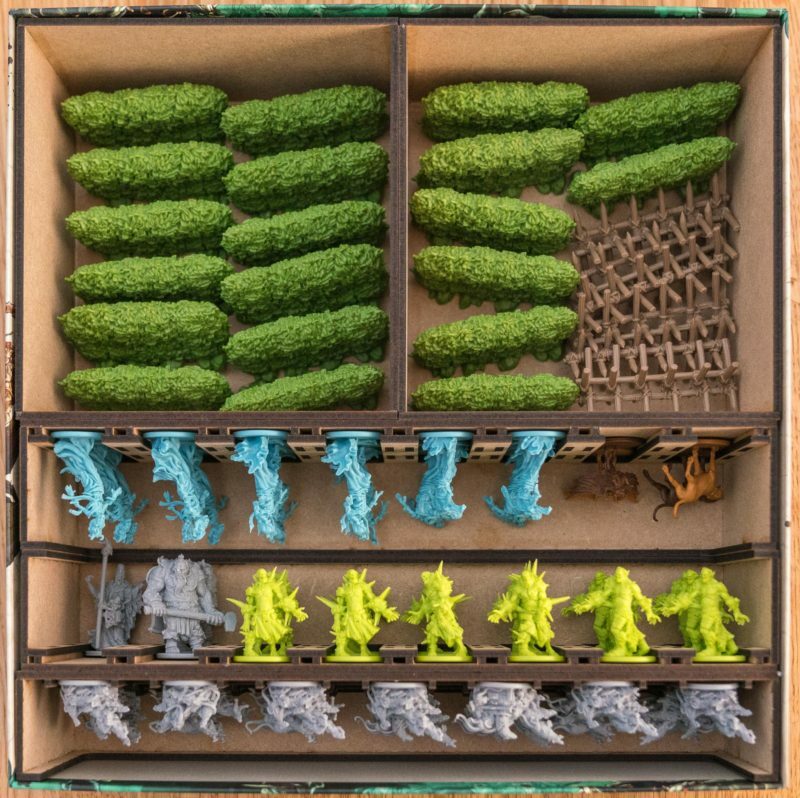 Save £9 if you buy a mini american card box, and Green Horde divider set along with this insert. 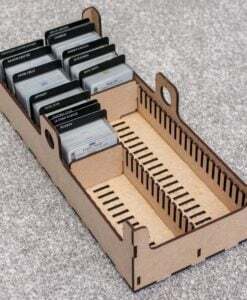 Perfect if you don’t already have a card organiser. 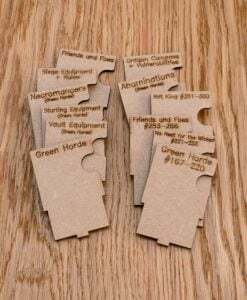 Save £2 if you buy a Green Horde divider set along with this insert. 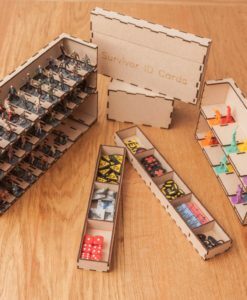 Great if you already have one of our card boxes. 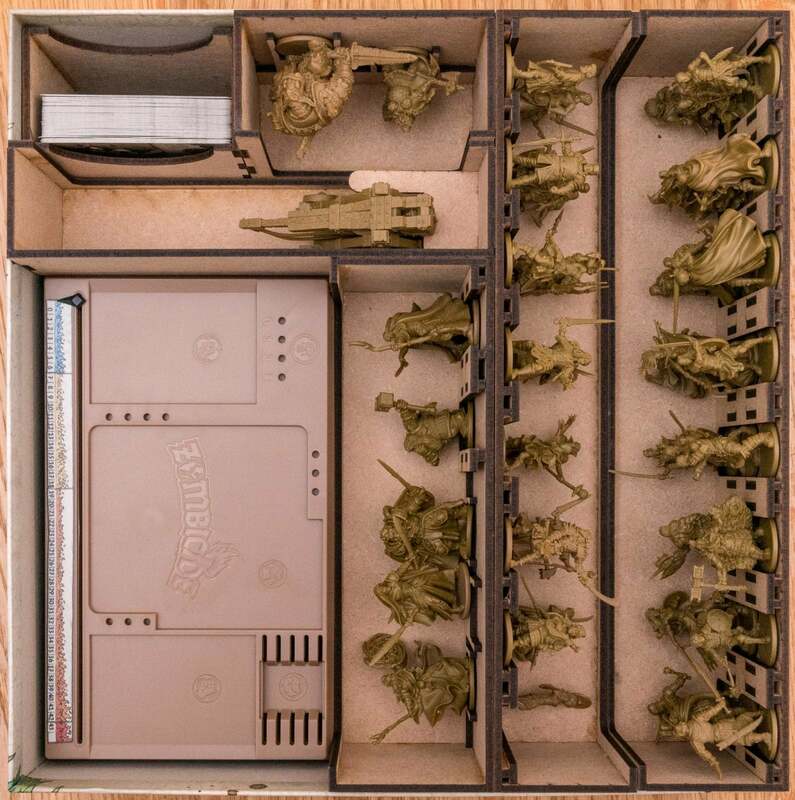 Fits within the original Zombicide Green Horde, Horde and expansion boxes! 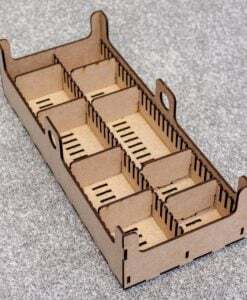 The Green Horde box organiser is provided flatpack and will require wood glue(PVA) for assembly.